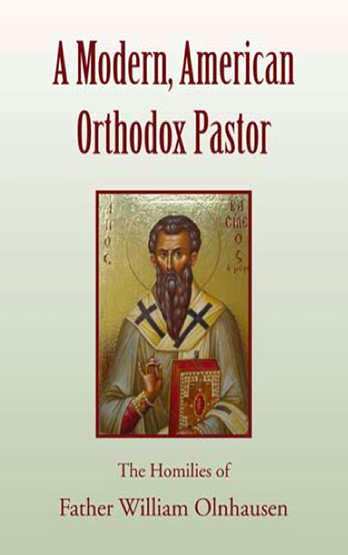 Click here to view “A Modern, American Orthodox Pastor” on Amazon. Sometimes we remember things wrong, so I went back to the original source, my travel journal, written at the Orthodox Academy on Crete where I was attending a conference. Wonderful! Such joy! Bishop Irenaeus is a holy man. This is the way the church should be… Don’t forget the bishop’s face: serene, holy, happy. Two weeks later in Athens I saw his face again in an icon store near the cathedral. St. Nicholas icon has the happy holy look of the Cretan bishop. I had to have that icon, that face of Bishop Irenaeus, so I spent considerably more than I intended and bought the Saint Nicholas icon. Though I didn’t yet know it, Saint Nicholas already had me on my way to Orthodoxy. The Greek church has a remarkable integration with everyday life—icons in buses, stores, cabs, houses. The Church is concerned with social needs of people. It seems to go far deeper than the Christian veneer of Western Europe. Why? I felt I had to know. I had to find out why. And you can see what it led to. “No…” I said, and started watching. Sure enough, not that the paint moved. It didn’t. I can’t explain it, but sometimes he was happy, sometimes sad, sometimes stern, sometimes pleased. “It’s just reflecting your feelings at the moment,” someone said. So I began to check that. Sometimes this was so, sometimes not. Sometimes I would be in a good mood and he would be looking very displeased, or it could be the reverse. The truth was, I was not often in a good mood. I was discovering that I needed to be Orthodox; that Orthodoxy was what I had always believed; that I had been trying to be Orthodox outside the Orthodox Church. I knew I needed to go home. While this was a wonderful discovery, I couldn’t imagine how to do it, for we had a family, one child in college, one nearing college age. How could we afford to make the change? And as a pastor, I felt I couldn’t just abandon my people. Was there a way to make my Episcopal church into an Orthodox church? Again, I couldn’t imagine. One evening, I was in a particularly glum mood, depressed, frustrated. I walked over and looked at Saint Nicholas. You can see how he had already drawn me into relationship with him. And for the first and only time (I’ve never been able to see this again in the icon), he looked smug, like the proverbial cat who had swallowed the canary. I lost my cool. “How can you hang there on that wall looking so pleased with yourself, when I am so miserable?” I said. And then, and I don’t mean I literally heard words, it wasn’t like that, I can’t explain it, he told me that he had Saint Nicholas Church well under way, and if I didn’t get in his way it was all going to be just fine. After that, things began to move. Not that I relaxed about it. Often, I was a nervous wreck. But Saint Nicholas kept at it. I was invited to visit a weeping icon at Saint Nicholas Albanian Orthodox Church in Chicago, where I was given the courage to go back to my church and start talking about Orthodoxy. About this time, a couple of quite amazing things happened to move me towards Orthodoxy and into the Antiochian Archdiocese, but that is also another story. Finally, my Episcopalian bishop fired me for promoting Orthodoxy. I said I wasn’t leaving without that icon. That was no problem. So, with Father Peter Gillquist’s guidance and the blessing of His Emminence Metropolitan PHILIP, His Grace Bishop ANTOUN came and he founded our Orthodox mission. Father Tom Hopko from Saint Vladimir’s Seminary, who knew nothing of our Saint Nicholas connection, sent us a relic of Saint Nicholas, which is now embedded in our altar. We submitted three names for our new church to Metropolitan PHILIP, who named us Saint Nicholas Church. When we bought this building, we had our first services on the next major feast day—which was Saint Nicholas Day. The money we need has always just arrived, often in very unexpected ways (that’s also another story) for which one of our early treasurers, Lou Chambers, coined the term, “the Saint Nicholas Factor.” It still kicks in regularly. When there have been problems, I have gone to Saint Nicholas, and sometimes results have come within hours. When I mentioned to him in passing that we needed more children, more young families around here, it took a couple of weeks for the surge to begin, and now look! That wonderful icon I bought in 1985 now presides at the entrance to our church to make the point that this truly is Saint Nicholas’ Church. This is not really our church. It’s his. This is his work. Holy Father, Bishop Nicholas, continue to intercede with Christ our God to save our souls.